Professional Lighting Control. Now on OSX. Built from the ground up for Mac OSX for unbeatable performance and stability. New features are being added all the time. 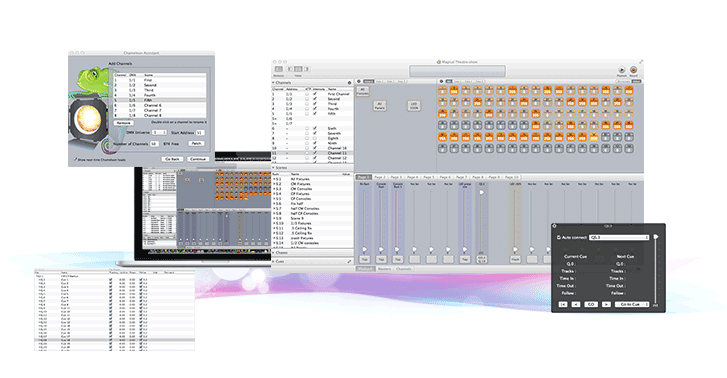 Chameleon is a versatile, easy-to-use lighting control application for Mac OSX. It has been designed to reflect the interface of a physical lighting desk used by professionals. If you're used to working with these lighting desks, you'll be immediately at home with Chameleon; if you're new to lighting control, Chameleon is a great place to learn.